The key focus of my research is on examining the letters of Irish emigrants in the Widows Pension Files. These letters, and the stories which surround them, have an incredible amount to tell us about Irish emigrant life. One of the most important aspects concerns how emigrants maintained communications both between Irish-American communities in the United States and with their home communities in Ireland. Increasingly, they demonstrate that those who wished to stay in touch with Ireland following their departure did so. I have previously written about how we can dissect these letters to assess what they can reveal about the Irish experience (see for example Analysing 19th Century Emigration, A Case Study: Dissecting One Irishman’s Letter Home). The post below attempts something similar. 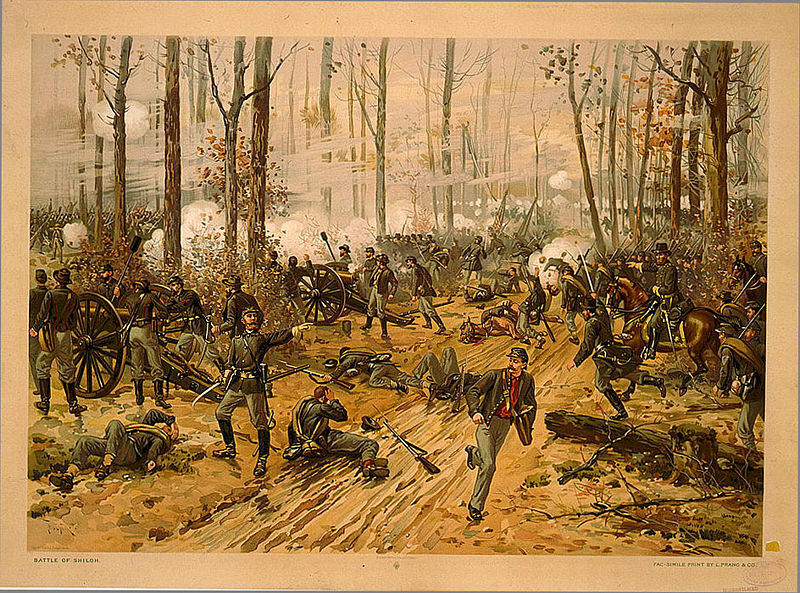 It comprises two elements, the first of which explores Irish involvement in the United States Regulars and the fate of one their number, Irishman Edward Brady, at Shiloh. The second examines in detail the fabulously rich letter of Ellen McCarthy, Edward’s cousin, to her aunt– Edward’s mother– informing the woman of the loss of her son. It is a letter that reveals a great deal about both the process of emigration and the emigrant networks that existed in the wake of the Irish Famine. Ellen next gave details on Edward’s burial, and in the Catholic tradition noted that she would pray for his soul and have a mass said for him. Ellen also expressed a hope that the fact Edward was just one of many men killed in the war might help to assuage her aunt’s distress, a sentiment that is often found in contemporary letters (see for example the letter in Speaking Ill of the Dead: Eulogies and Enmity for an Irish Brigade Soldier). In a further demonstration of the process of chain migration, Ellen concluded by making reference to the potential that more people from Ireland may be about to emigrate. She also asked after one Dominic Dunbar, who lived near her aunt in New Jersey. Ellen made direct reference to their crossing together on the emigrant boat, a remark that allows us to identify their probable ship and date of arrival. On the 2 May 1849 the Silas Grimshaw docked in New York from Liverpool, carrying among its passengers a 22-year-old Irish workman called Dominic Dunbar, and a 20-year-old woman called Ellen Brady, one of a number of Bradys aboard. This is surely our correspondent Ellen prior to her marriage and subsequent name change to McCarthy. 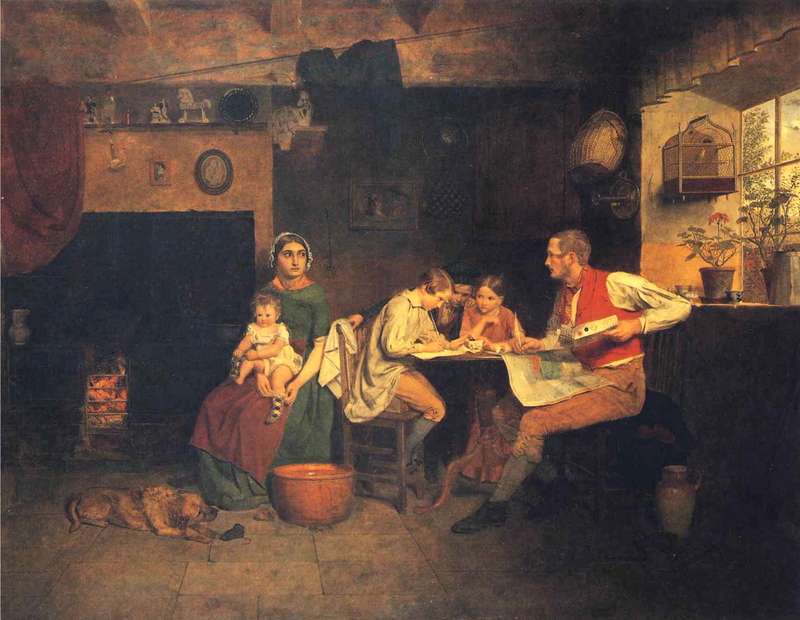 The information indicates that the Bradys were Famine-era emigrants. On the 1870 Census, we find Dominic living in Belleville, New Jersey, beside East Bloomfield. He was now working in a copper factory, supporting his wife Mary and eight children, all of whom were born in New Jersey. One of Dominic’s near neighbours in 1870 was 68-year-old Bridget Brady, presumably Edward’s mother, making her home with another elderly Irishwoman, Margaret Lavin. 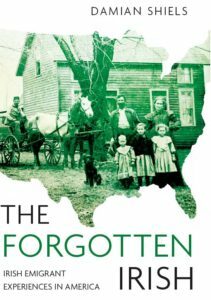 For a family for which we have so little information (not even their county of origin in Ireland), Ellen McCarthy’s letter nonetheless provides us with a range of valuable insights into both the process of emigration and the maintenance of networks between Irish communities across both America and Ireland. 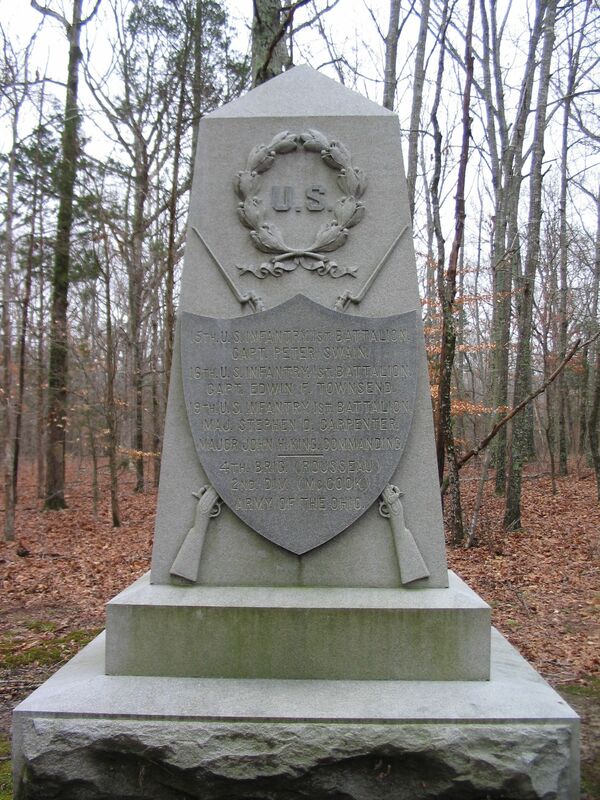 The story also highlights the extremely important place that service in the Regulars held for many Irishmen in 19th century America– service which in terms of numbers often eclipsed that of those who had been born in the United States (for more on Irish Regulars in the West, see Irishmen in the U.S. Regulars: A Case Study of the Battle of Stones River). WC10976 of Bridget Brady, Dependent Mother of Edward Brady, Company E, 16th United States Infantry. 1870 United States Federal Census for New Jersey, Essex, Belleville. National Archives and Record Administration. Famine Irish Entry Project, 1846-1851. Johnson, Mark W. 2012 “Where are the Regulars?” An Analysis of Regular Army Recruiting and Enlistees, 1851-1865. Unpublished PhD Thesis, University at Albany, State University of New York. Johnson, Mark W. 2003 That Body of Brave Men: The U.S. 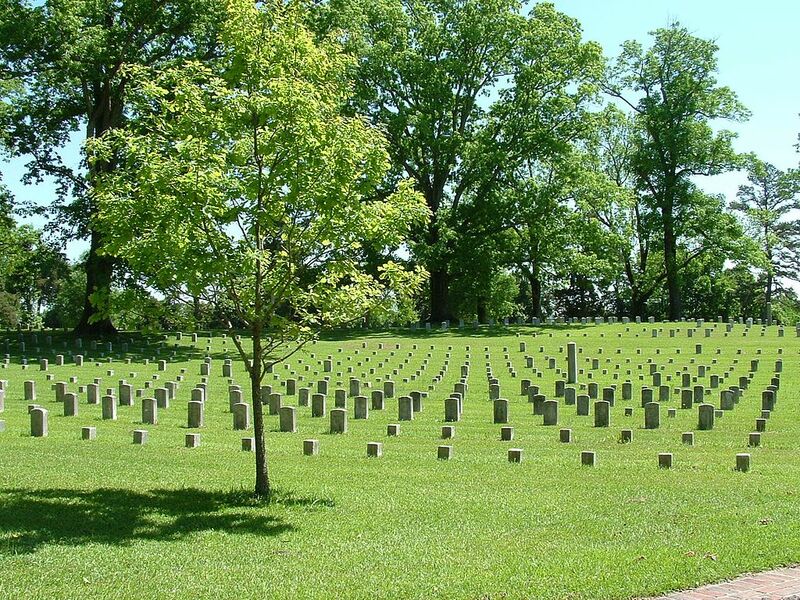 Regular Infantry and the Civil War in the West. Van Zwaluwenburg, Jacob n.d. Memoir. Unpublished manuscript at William L. Clements Library, University of Michigan. Swain, Craig 2009. Remembering Shiloh. To the Sounds of the Guns Blog. Thanks for highlighting the continuing chain of communication. My first and second generation ancestors continued the chain of communication back and forth across the Atlantic. It seems to have worn down to a whisper for third generation.